A very quick card for the Queen for the Day challenge today over at Splitcoast. Congratulations Vicki! Her CAS design is simply wonderful! 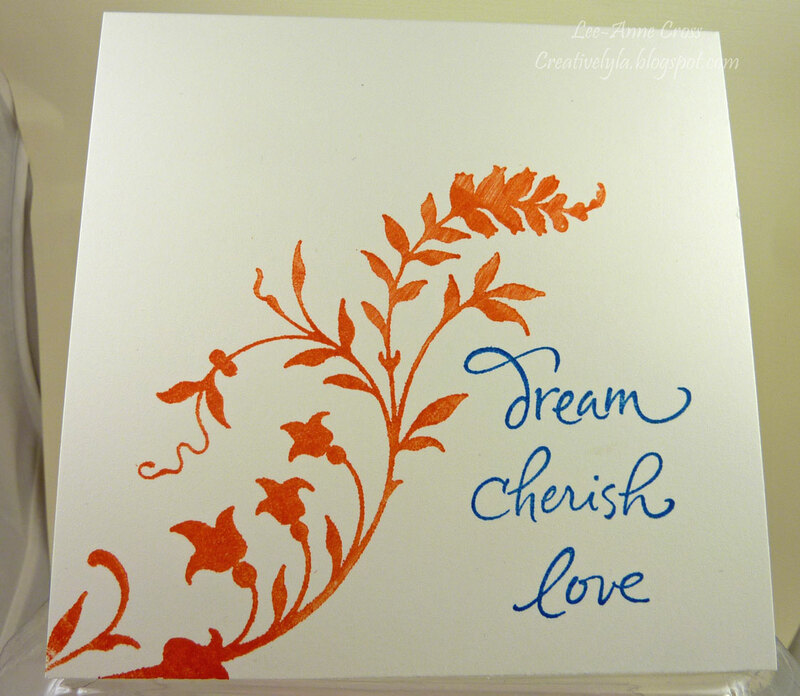 The image has been stamped in Tangerine Tango and the sentiment stamped in Pacific Point. Bet you didn't know I was receiving your posts huh? Fun CASE card. i really like the leaves with the swirl!